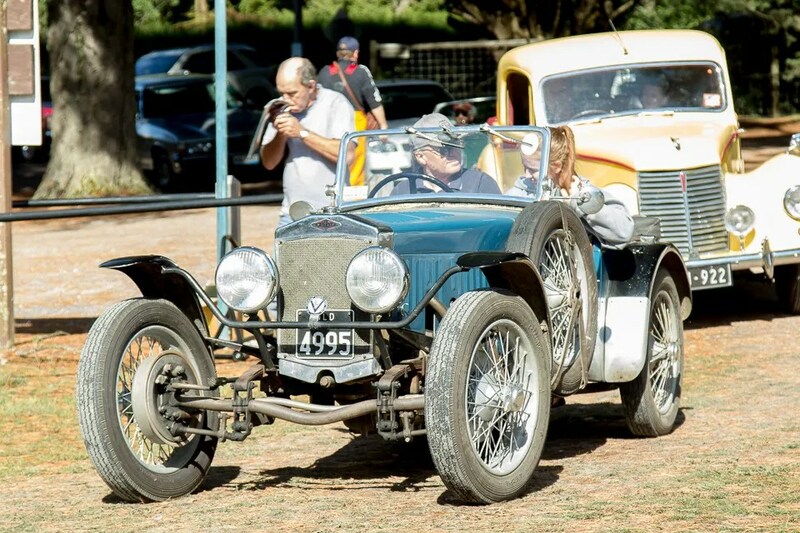 A 60 year old tradition was proudly continued recently at the Kalorama Rally. 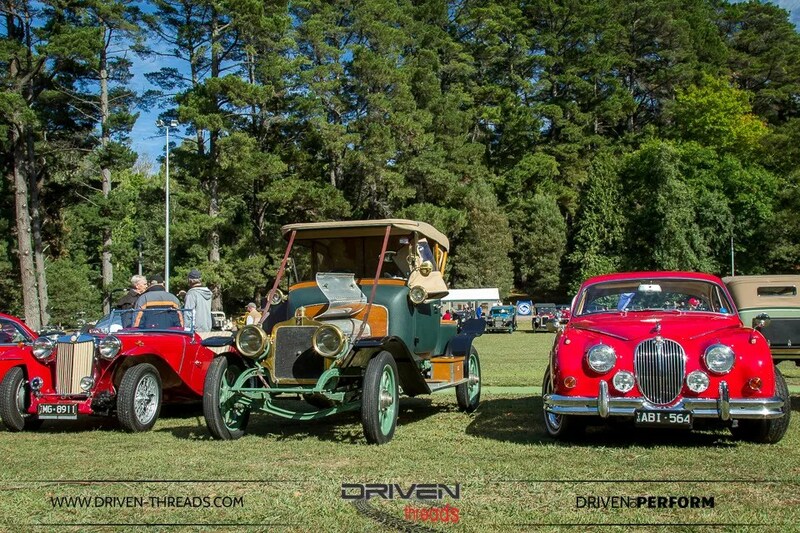 A brilliant vintage car display amidst the beautiful backdrop of the Dandenong ranges. 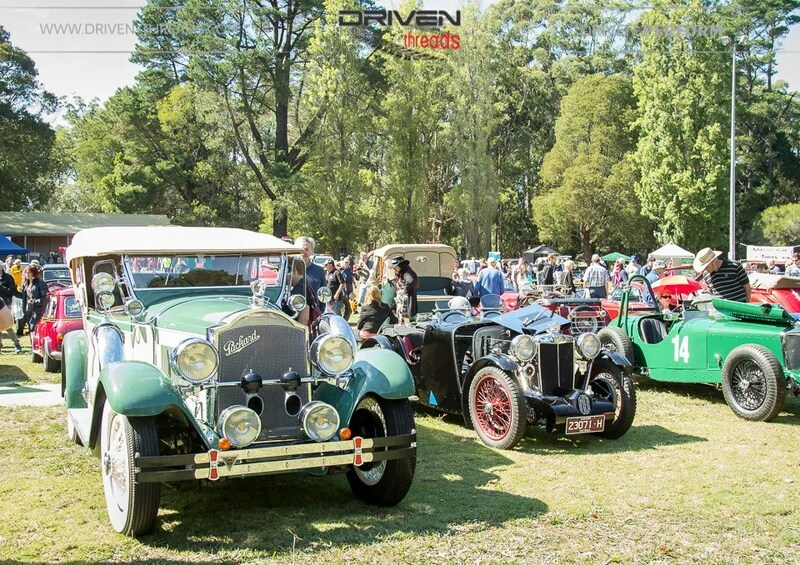 Fortunately Melbourne’s weather was in fine form as cars originating from all corners of the globe from the 1910’s to the 1980’s descended to the Kalorama oval for this relaxed family event. 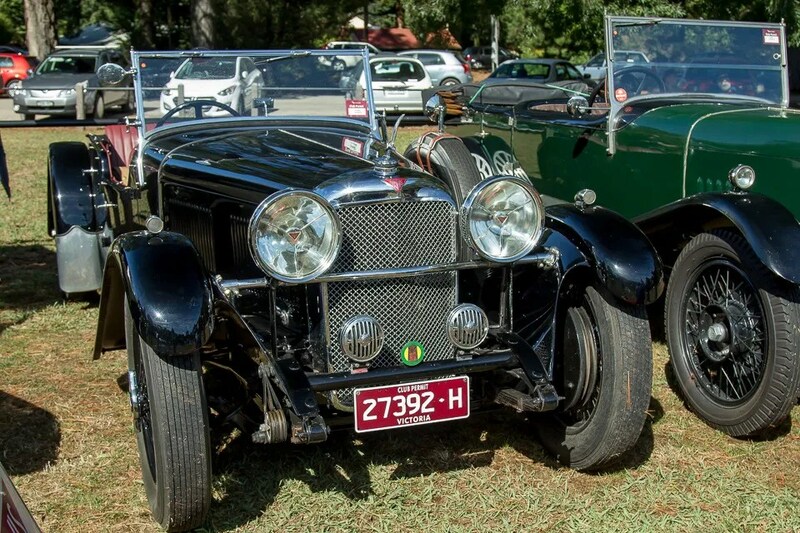 Once a competitive ‘Motorkhana’ type event primarily for Vintage cars (pre 1930), the modern Kalorama rally now consists of a Mystery Tour and culminates in a display celebrating all vintage and classic machinery. 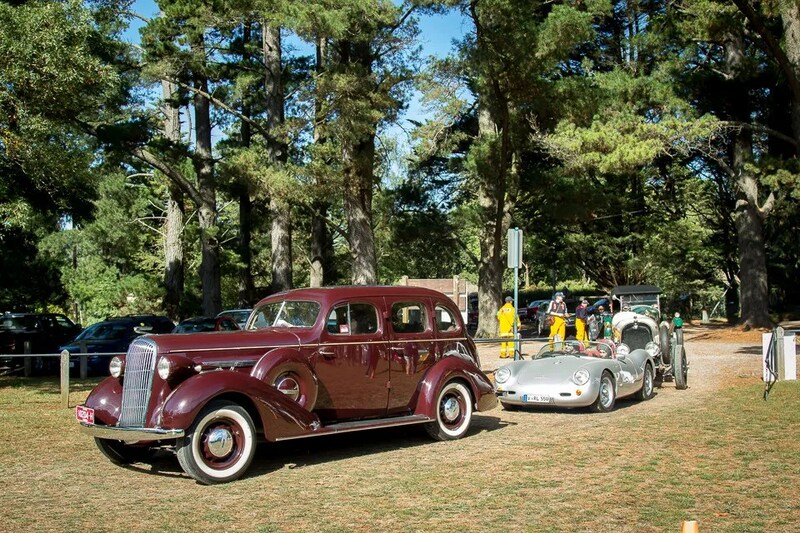 Cars were dusted, chamoised and polished for this annual event in its picturesque location. 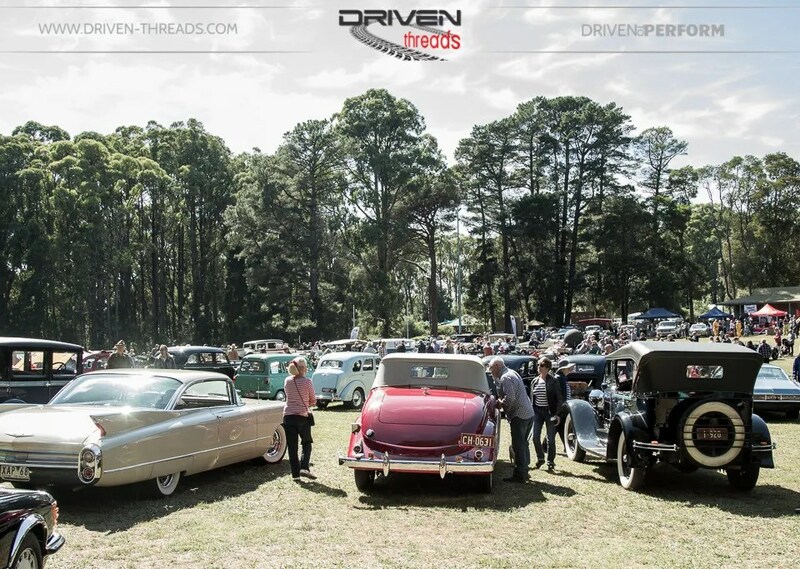 Hosted by the Vintage Drivers Club, sixty years is a great achievement for a community and club-based event. 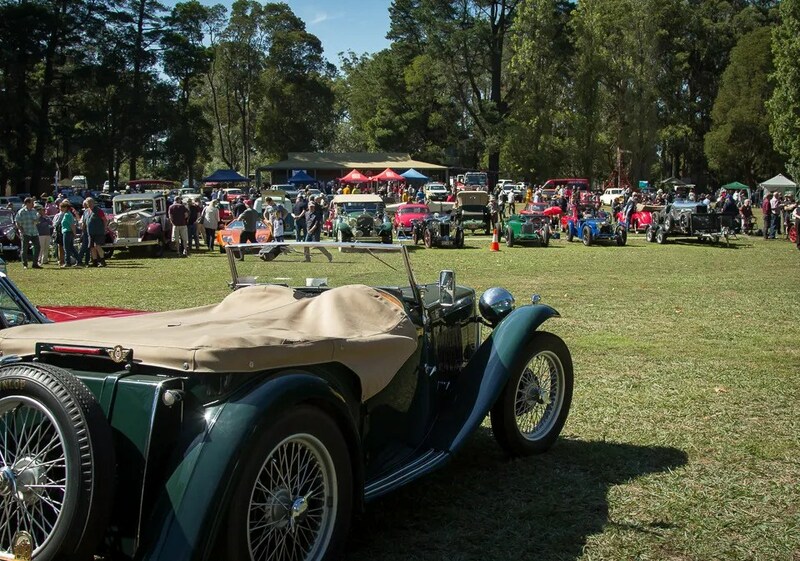 The recent Kalorama event proved the event’s popularity and has secured its future and continued fundraising for the Kalorama CFA. 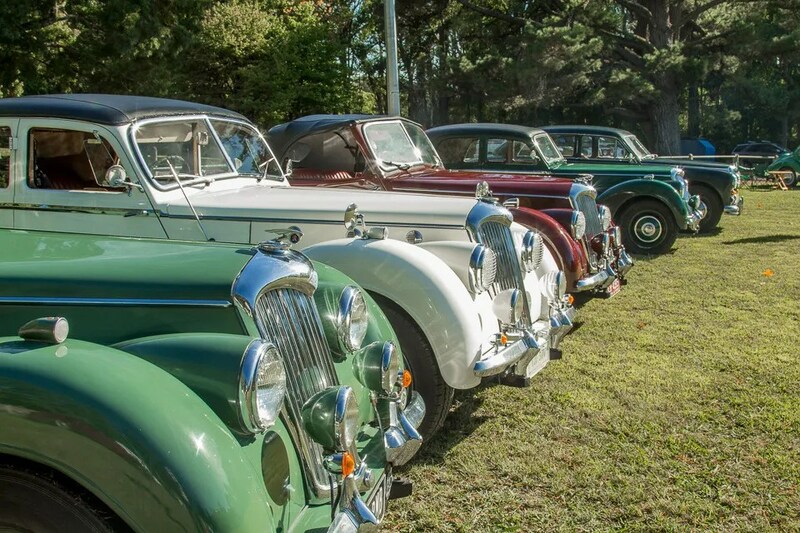 The Riley Motor Club showed their strength in numbers and were awarded the best club display and received the Kalorama Perpetual Trophy. 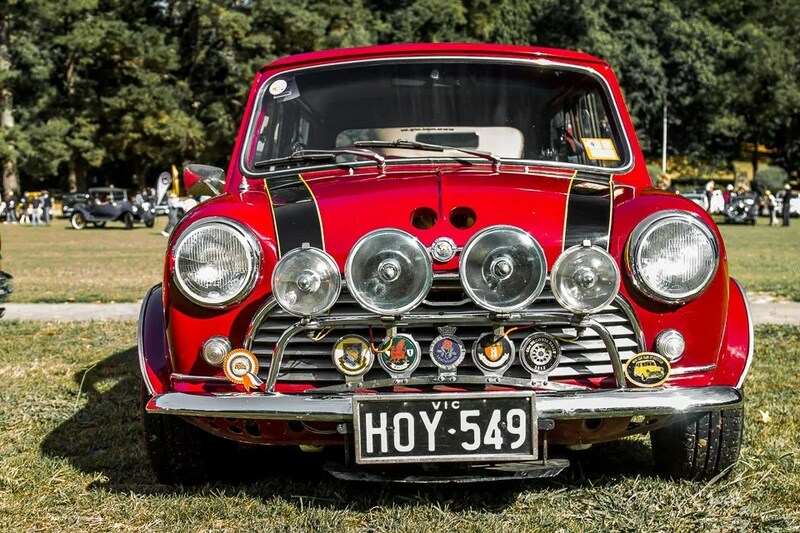 Around 30 of this marque were displayed with a ranges of models on display from the venerable 9hp to the pint-sized BMC Elf (Mini variant). 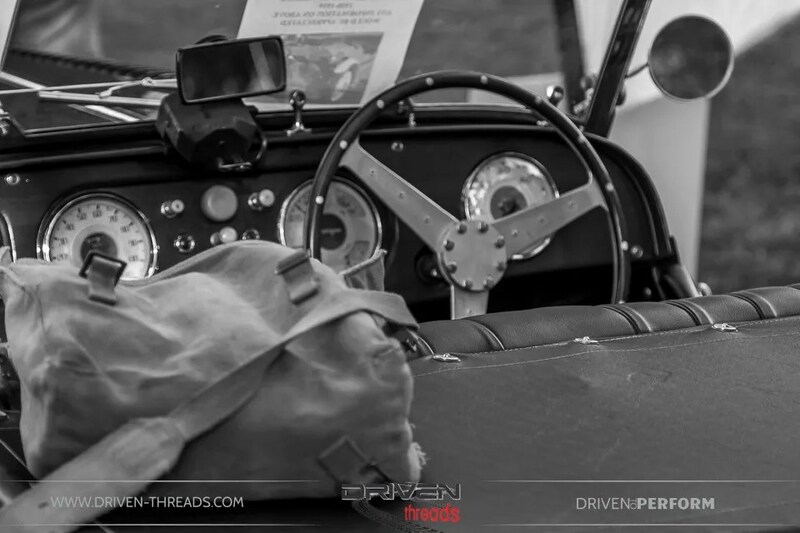 The newly completed 1937 Riley 12/4 Sprite built by Ron Brownrigg was impressive to say the least. 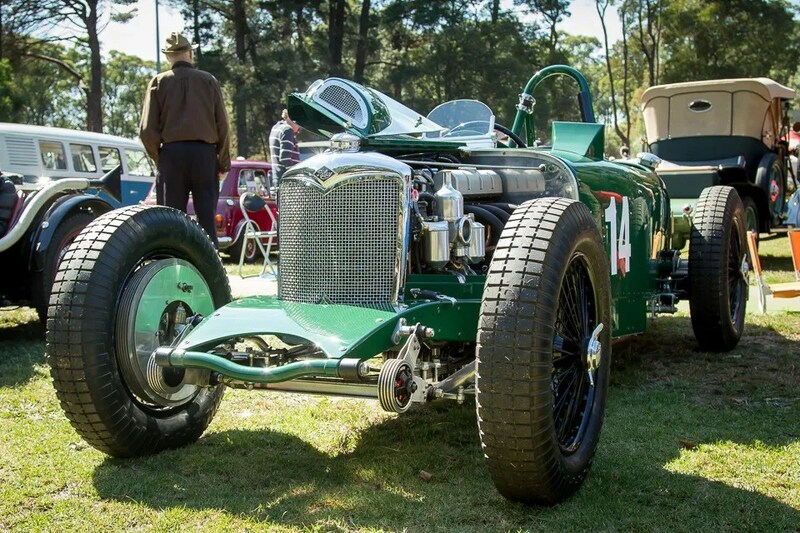 This car was imported to Sydney in 1938, and its original MPH body replaced with a replica TT Sprite body. In its new form the car features many magnesium components, 15 inch ERA brakes and a supercharged 1 1/2 litre engine. The raspy exhaust note hints at stellar performance which will hopefully be fully exploited on the racetrack at the upcoming Historic Winton. 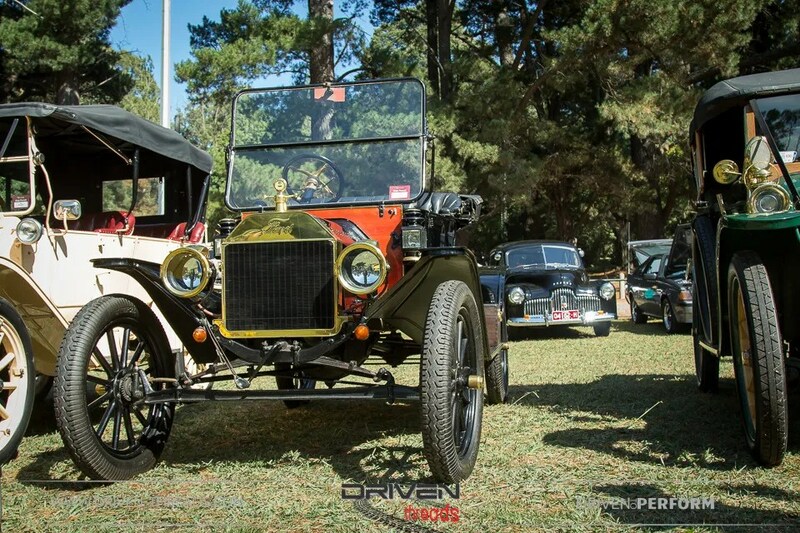 The simplicity of the Model T Ford was on show with this fine example. 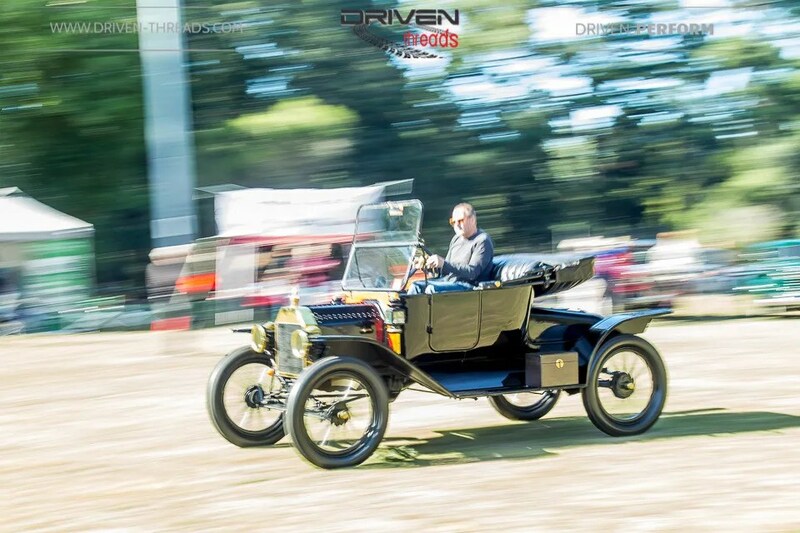 More than 15 million Model T’s were built in Detroit and Michigan from 1908- 1927. Interestingly, ‘Tin Lizzie’ was also assembled at a Ford plant in Manchester, England, and at plants in continental Europe. 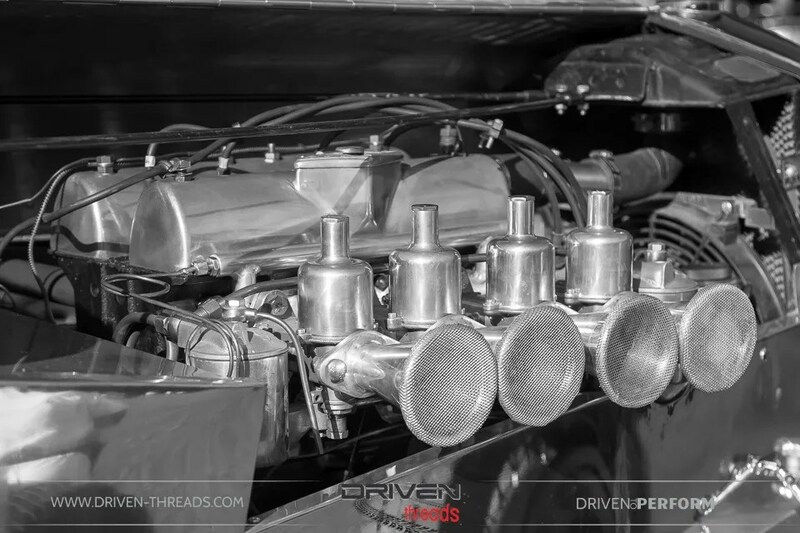 Pleasingly, this iconic machine was joined by other pioneers of Automotive engineering. 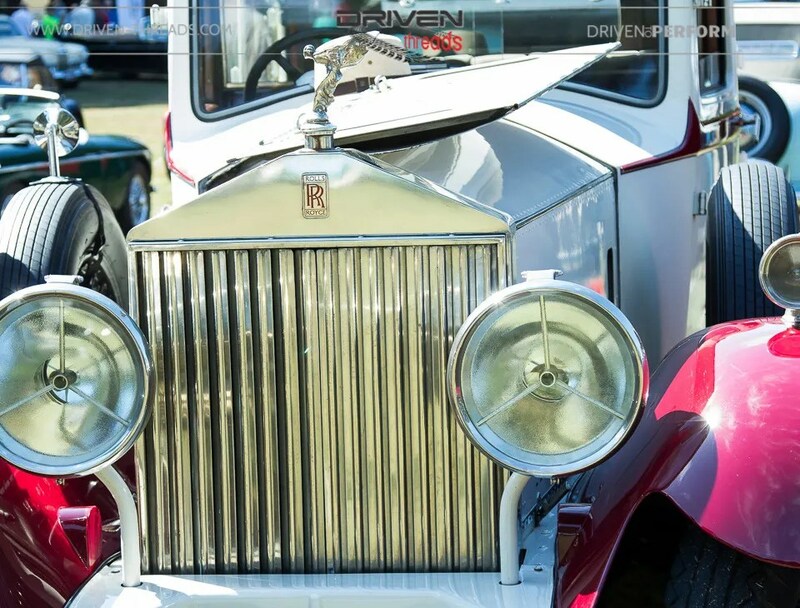 Vintage Rolls Royce vehicles always maintain their presence and status. 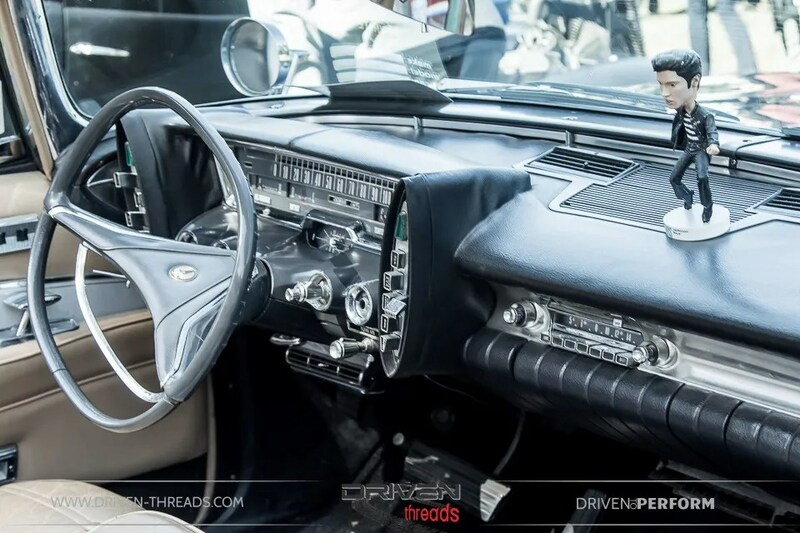 Arriving in stately elegance, the attention to detail in this coachbuilt Sedanca Deville was second to none. The American equivalent of Rolls, Packard produced vehicles first in 1899, and its last in 1958. 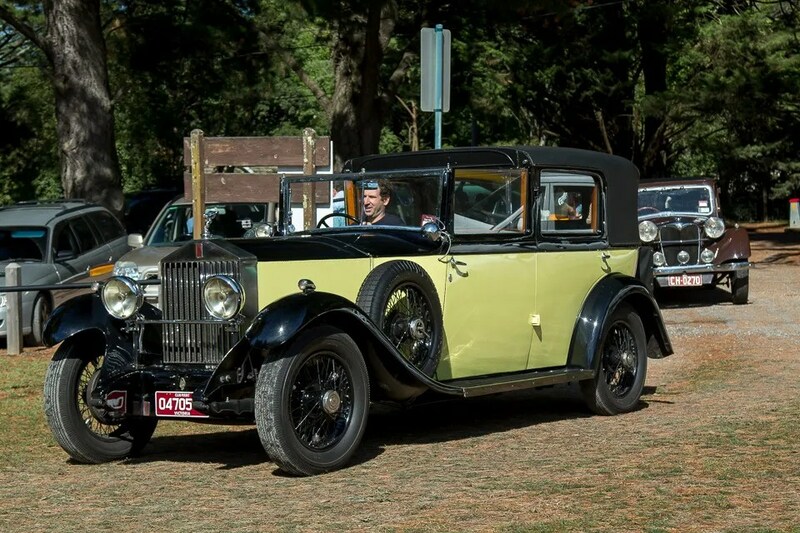 This 1928 example in its resplendent two-tone green looked as opulent as it would have come from the factory. Alvis’s crouching hare proudly gleamed in the Autumn sun. 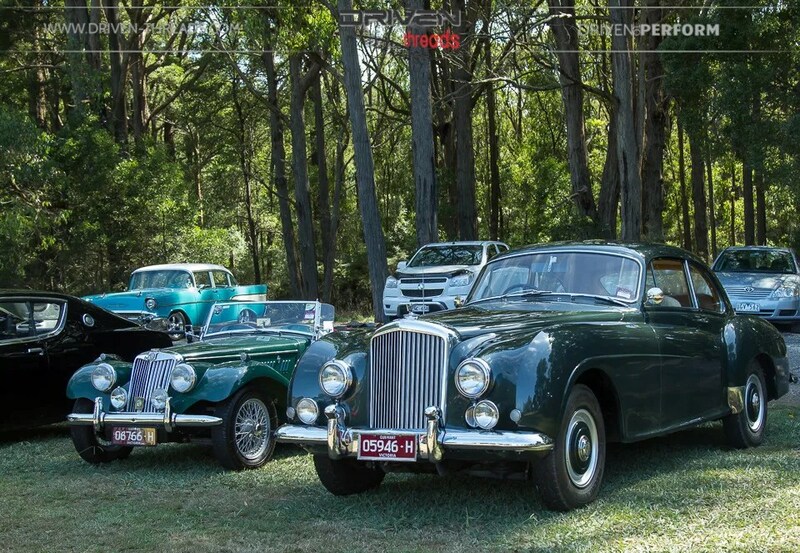 We were very impressed with the calibre of the Alvis cars on display. 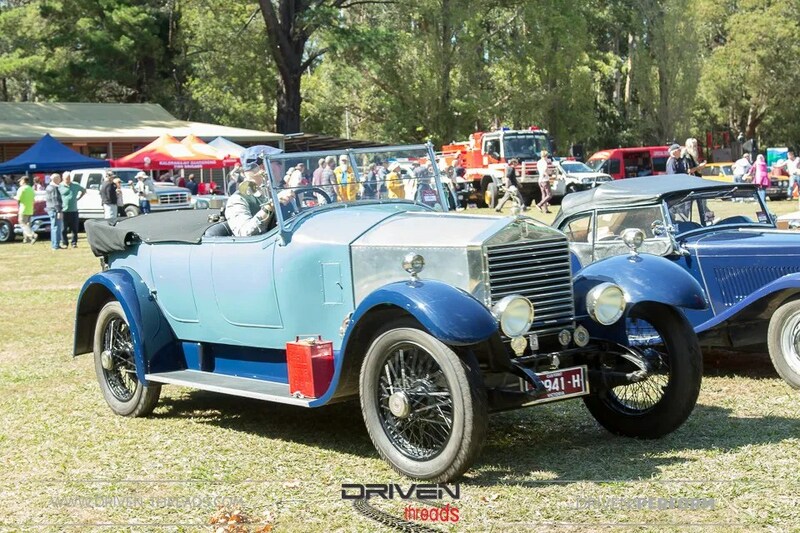 This Speed 20 four door tourer attracted our attention. 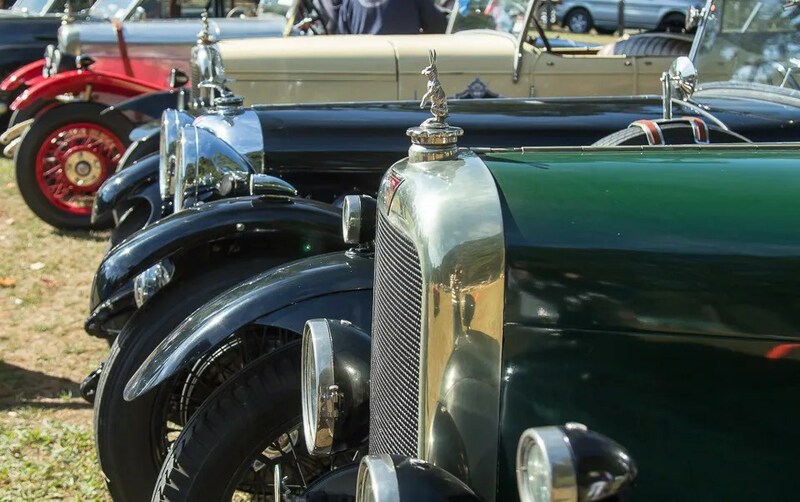 During the 1930s and 1940s, the six-cylinder Speed 20, the Speed 25, and the Alvis 4.3 Litre model were some of the most beautiful cars the marque built. A well-used and rakish mid 1930’s Frazer Nash TT. 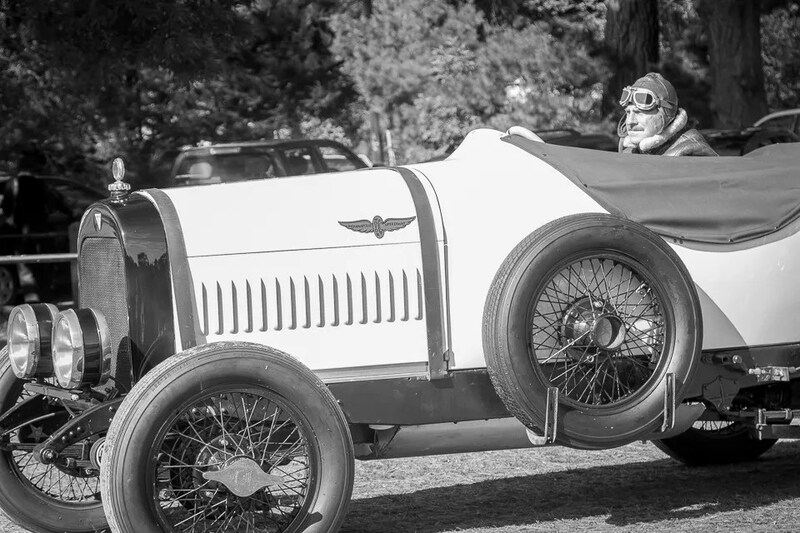 This 1917 Hudson is a accurate recreation of the type of period cars which raced at Indianapolis and throughout America. 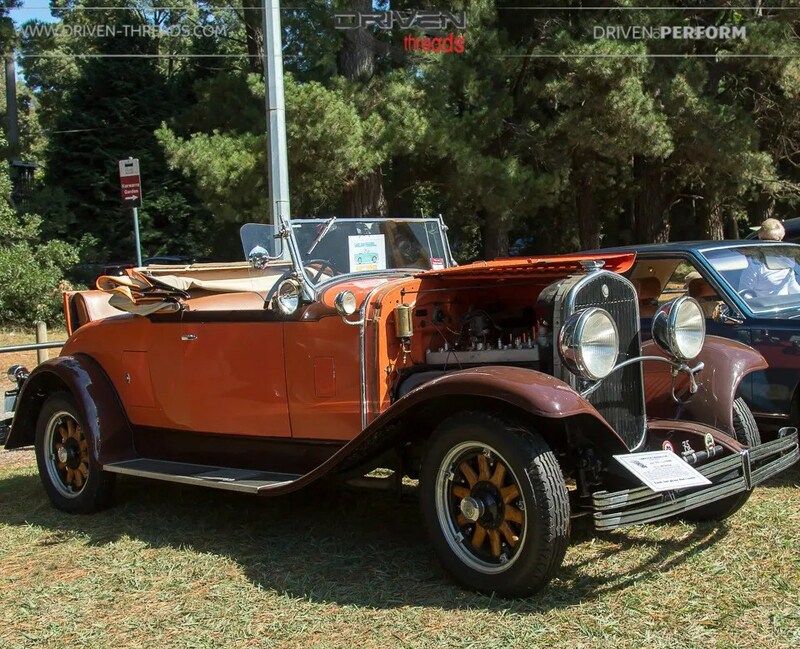 With its owner looking the part, its powered by a Hudson Super Six. It features a 5 litre side valve straight six producing 120bhp, enabling a top speed of approximately 220 kmh. Yes, racing googles are required. 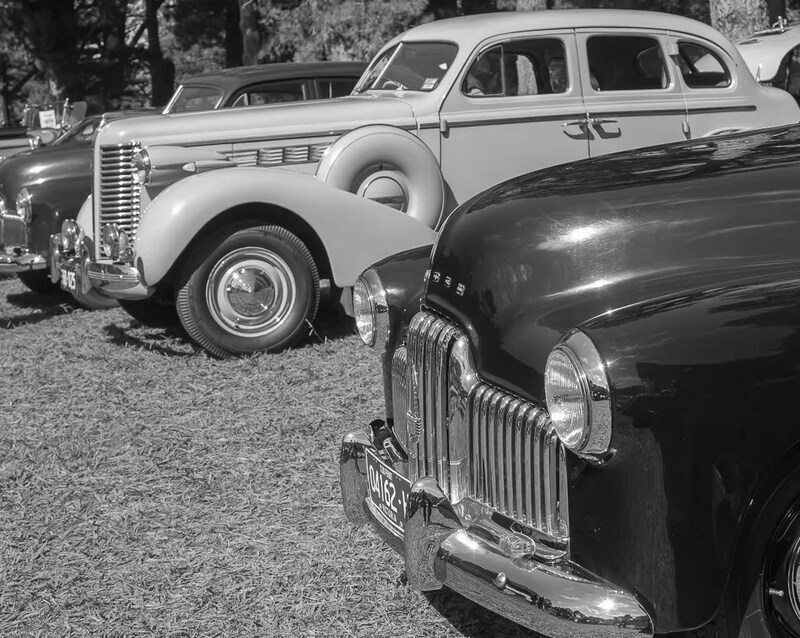 Such was the popularity of the event, throughout the morning it seemed that the flow of cars of all shapes and sizes did not stop entering the gates of the oval. 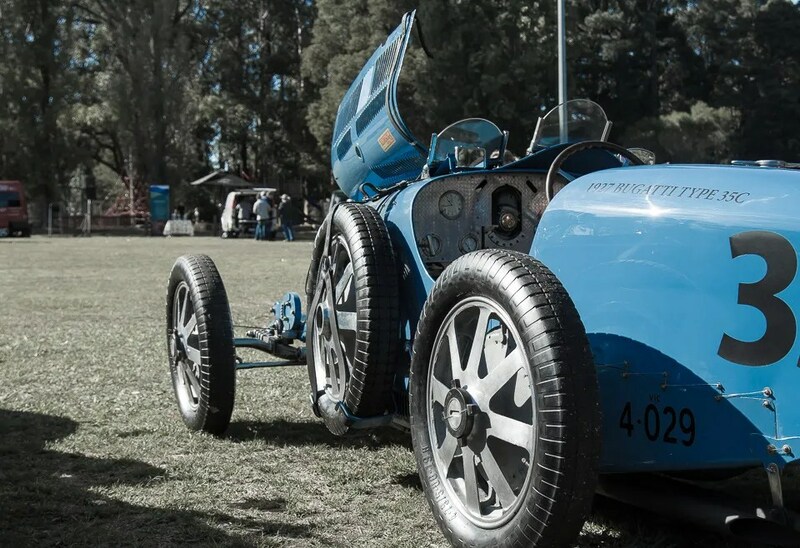 George Hetrel’s 1927 Bugatti Type 35C was a delight to see close up. 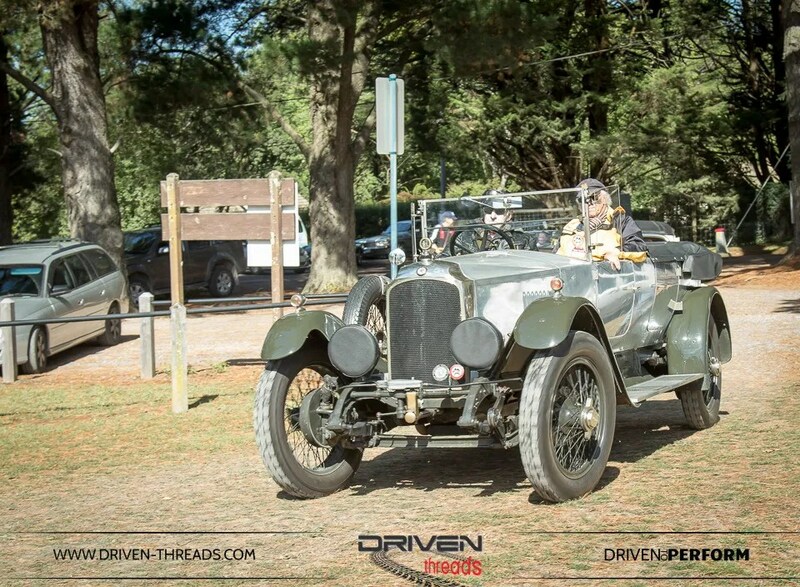 This car has been campaigned in historic racing events locally over many years. 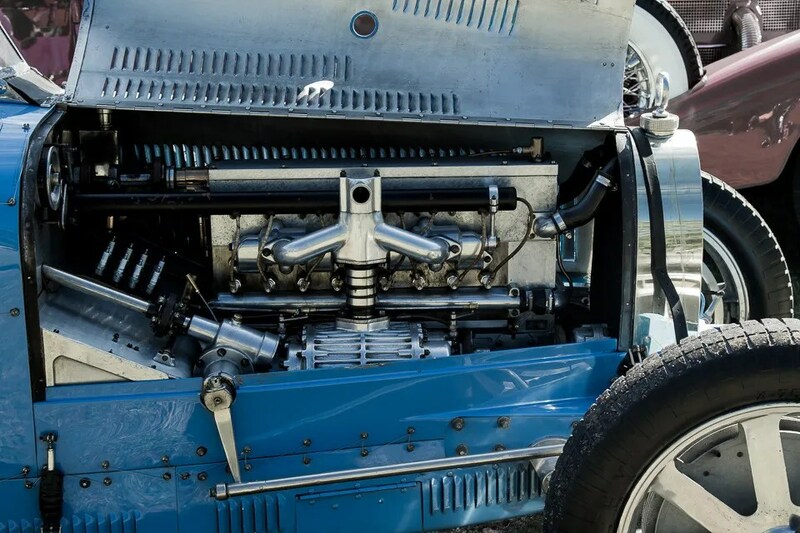 A revolutionary masterpiece of the 1920’s, the straight eight supercharged engine, was able to manage 220kph at Brooklands. This is a 1916 Morris Cowley representing Morris’ participation as a military vehicle during the WW1. The unique character of this car with its brass fittings and signage made it a real head turner. 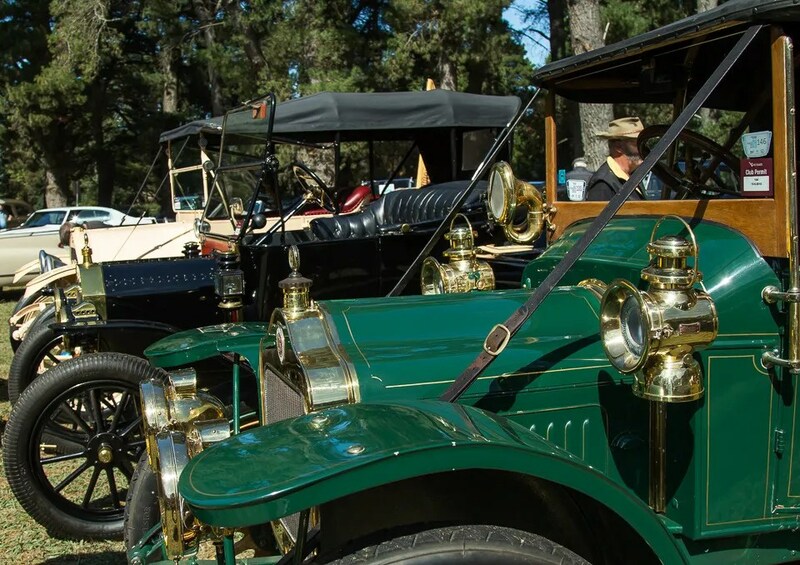 The Cowley was announced in April 1915 in various guises and body styles. 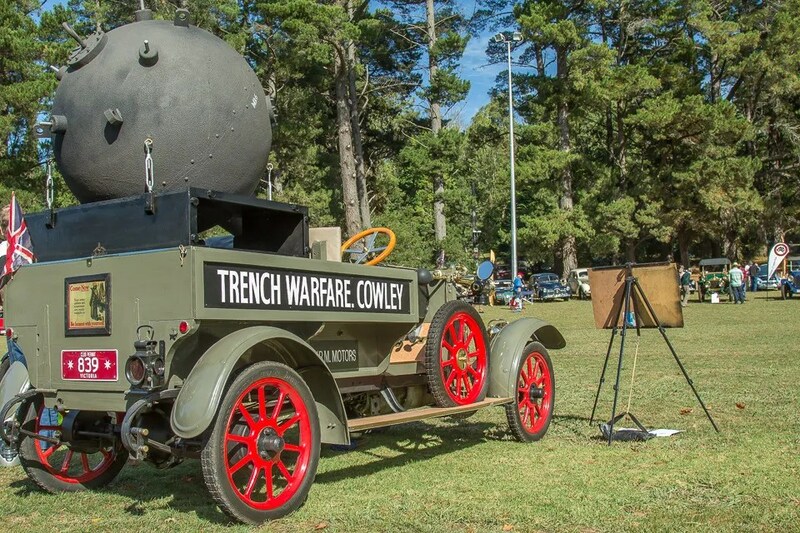 This Bullnose Morris is displaying a mine, a reference to the Morris Trench Warfare factory in Cowley, which was turning out thousands of mines at this time. 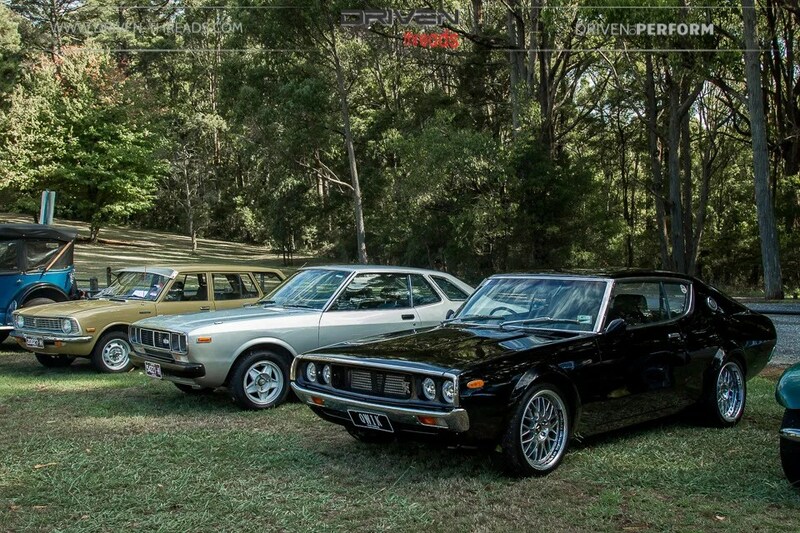 A small cluster of Datsun’s were welcomed onto the Kalorama oval. The Black Skyline C110 is highly modified with a later GTR engine and staggered Work VSXX wheels. 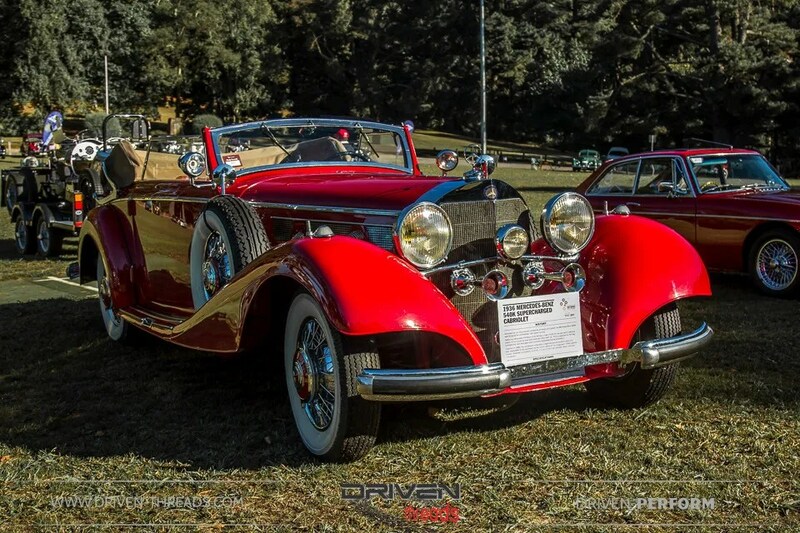 One of the stand outs was George Hetrel’s Mercedes Benz 540K. A work of art and style icon are two phrases that come to mind when describing this automotive masterpiece. This is a rare and ultra-valuable vehicle is one of 406 built in the years prior to the war. It must be thrilling to be behind the wheel of this 108mph straight eight supercharged 5.4 litre beauty. 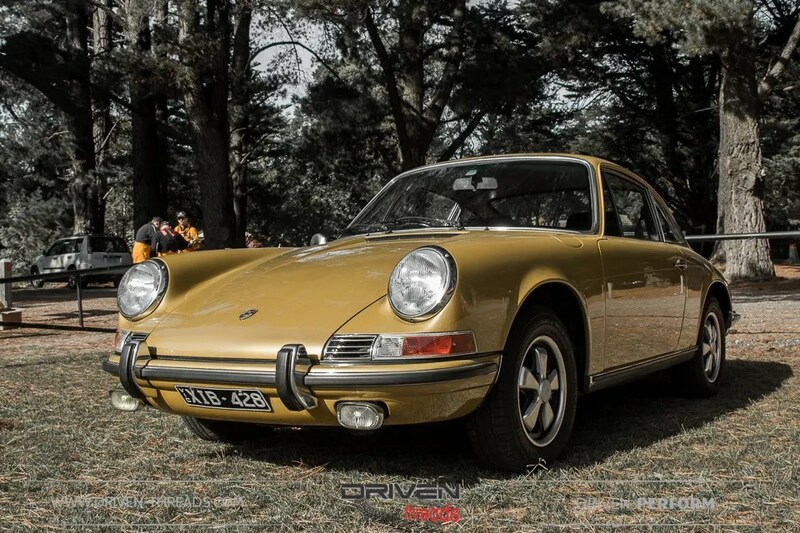 This early 911 parked near the oval entrance was in beautiful original condition. 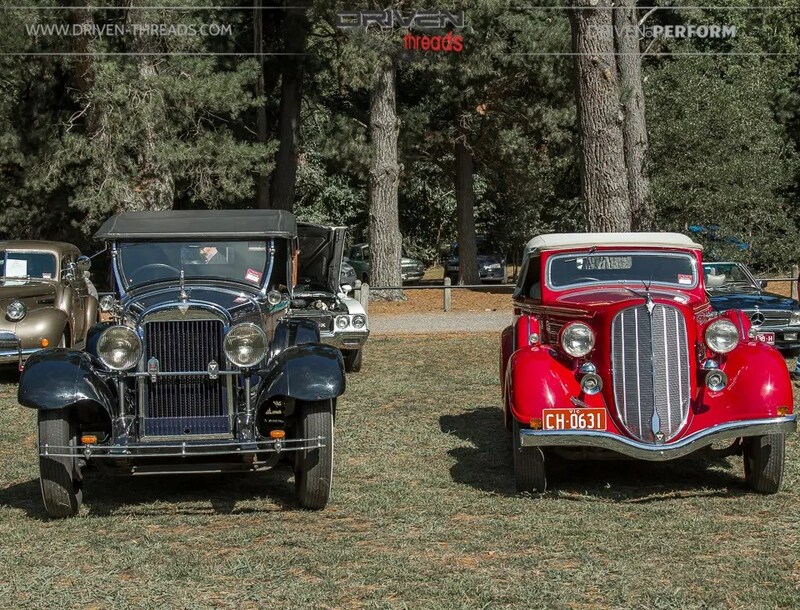 The values of these early cars are sharply rising in price. 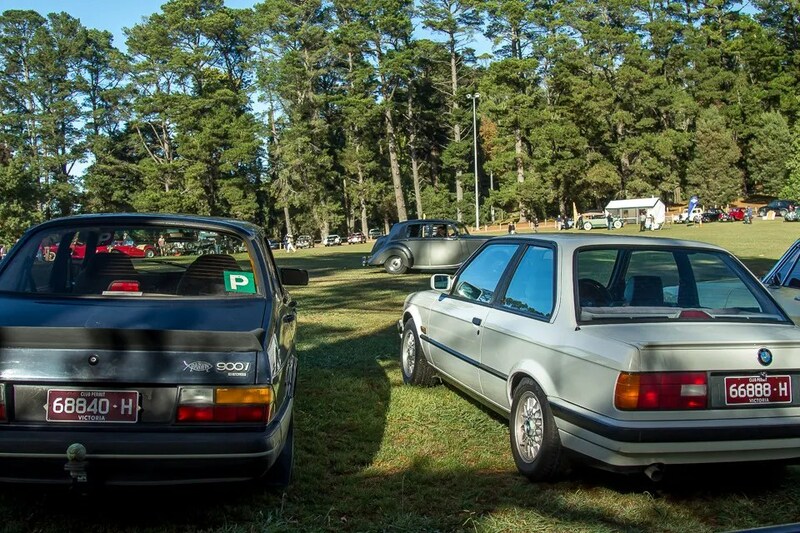 Two eighties icons and modern classics together, the Saab 900 with BMW E30. 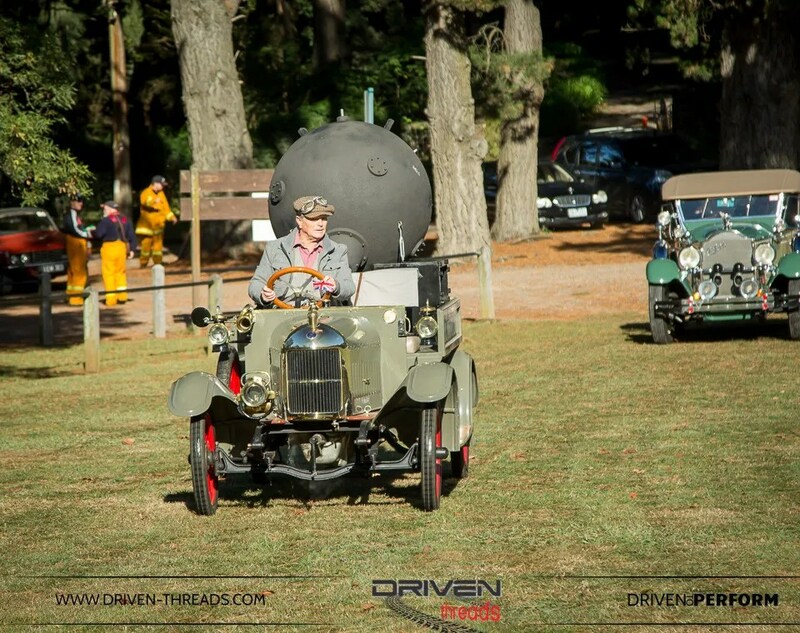 We hope you have enjoyed our coverage of the 2016 Kalorama Rally. 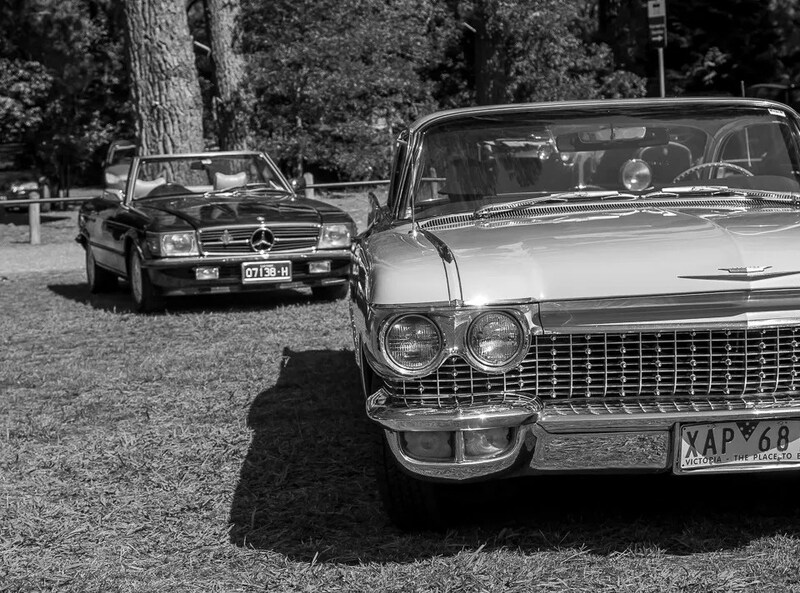 If your taste in cars is broad, be sure to look out for this event next year. Watch this space.